Archaeology is a material, embodied discipline; communicating this experience is critical to student success. 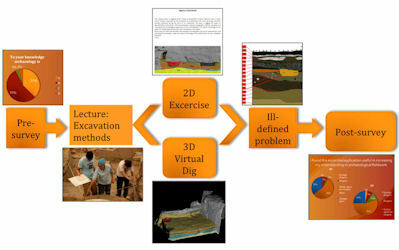 In the context of lower-division archaeology courses, the present study examines the efficacy of 3D virtual and 2D archaeological representations of digs. This presentation aims to show a 3D application created to teach the archaeological excavation process to freshmen students. 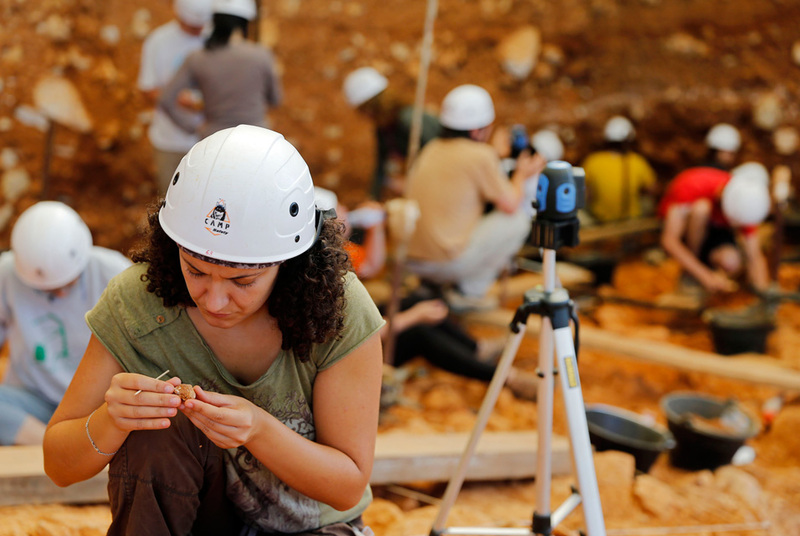 An archaeological environment was virtually re-created in 3D, and inserted in a virtual reality software application that allows users to work with the reconstructed excavation area. 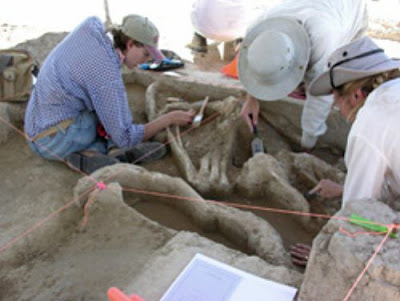 The software was tested in class for teaching the basics of archaeological fieldwork. The application interface is user-friendly and especially easy for 21st century students. The study employed a pre-survey, post-test, and post-survey design, used to understand the students' previous familiarity with archaeology, and test their awareness after the use of the application. 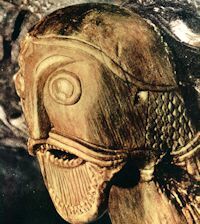 How were the Vikings such remarkable mariners? 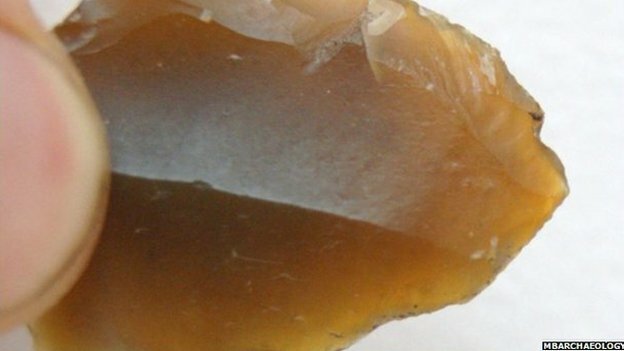 Scientists have found the answer buried deep in a 16th-century shipwreck. 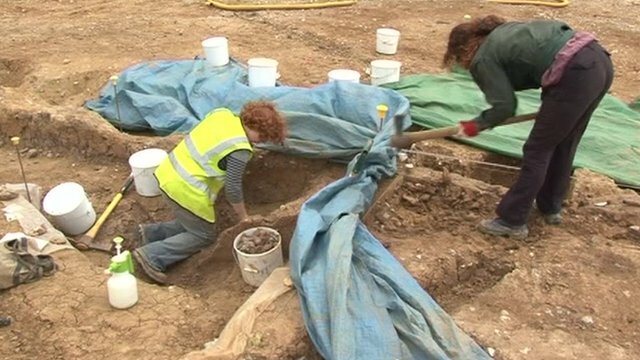 Remains of what archaeologists believe is a "lost village" have been found beneath a Nottinghamshire town. Experts say the presence of cobbled surfaces and Medieval pottery found in the Burgage area of Southwell suggests the presence a community that possibly dates from before the Norman conquest. 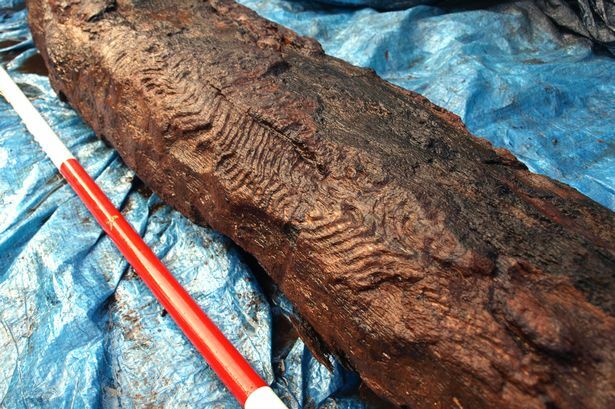 Archaeologist Matt Beresford said the work was ongoing and they hoped to find more conclusive evidence. The dig was backed by a £5,800 Heritage Lottery grant. 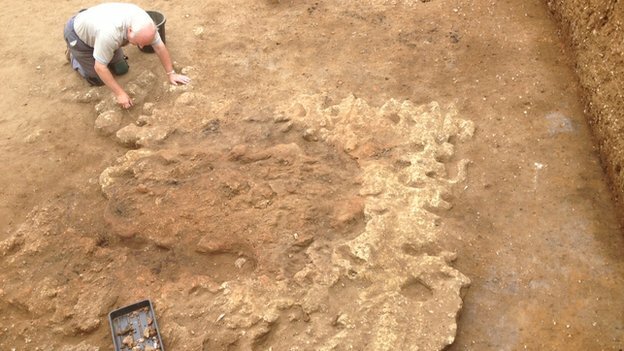 The annual dig in Sedgeford, near Hunstanton, has had about 100 people a week looking for signs of the village's past. Supervisor Dr John Jolleys said the clay object, which he believes to be a Saxon bread oven, was found about 4ft 11in (1.5m) underground. "It's rare and very exciting," Dr Jolleys said. Excavation of the object will continue for the remainder of the dig, which finishes on 16 August. During a recent excavation beneath the streets of London, archaeologists found a total of 1,500 human bodies, many buried hastily in a wave of epidemics that struck the quickly expanding city more than 150 years ago. In one coffin, archaeologists came across a grisly mix of bones from at least eight human bodies, many of them cut up and showing evidence of autopsy. But nine of the bone fragments were decidedly not human. They were walrus. 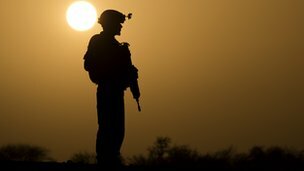 "It came as something of a shock," said Phil Emery, an archaeologist with a company called Ramboll UK, who led the excavation. 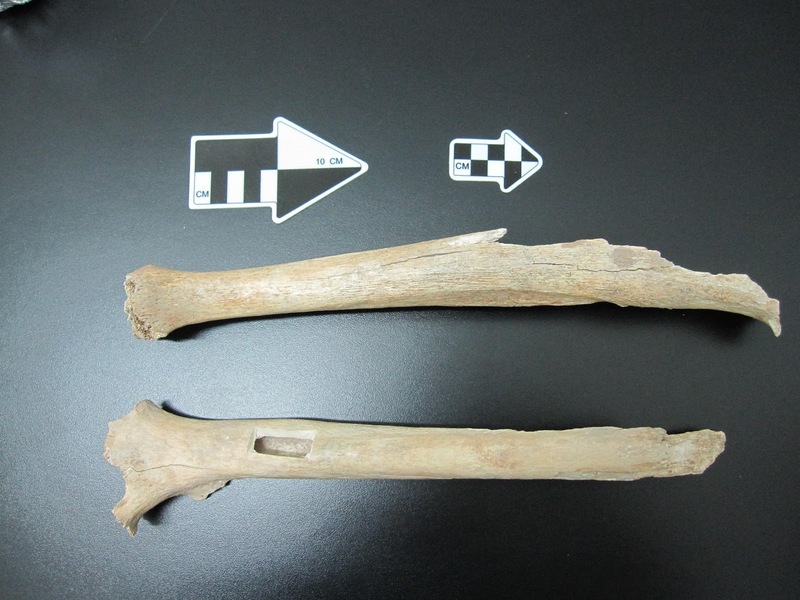 The nine bone fragments came from a Pacific walrusthat was likely 13 feet (4 meter) long, Emery told LiveScience. ARCHAEOLOGISTS says there is the tantalising prospect of a Roman mosaic beneath the Dewa Roman Experience premises in the city centre. A ongoing dig Pierpoint Lane site, off Bridge Street, has so far exposed an eight metres section of Roman wall next to a courtyard along with the remains of a flue. The wall would have formed part of a building, of unknown purpose, leading to speculation about what may lie behind the wall in the centre of the former premises. Archaeologist Mike Emery has been told by building owner Peter Dentith that someone who helped construct the 1960s building on the site insists a Roman mosaic was found at the time “but quickly covered up”. 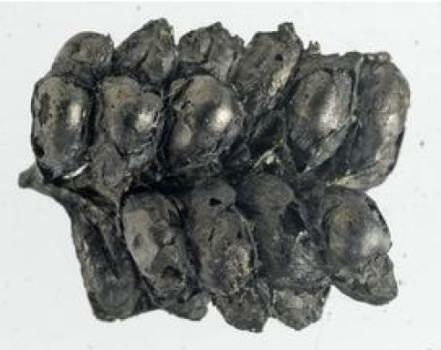 A copper alloy piece of jewelry found at a Viking-age site in Denmark shows an animal figure with a beadlike chain around its neck. Although the ancient site known as Stobi in central Macedonia has been the subject of numerous excavations and research over the past century, only 15- 20 percent of its remains have been uncovered. 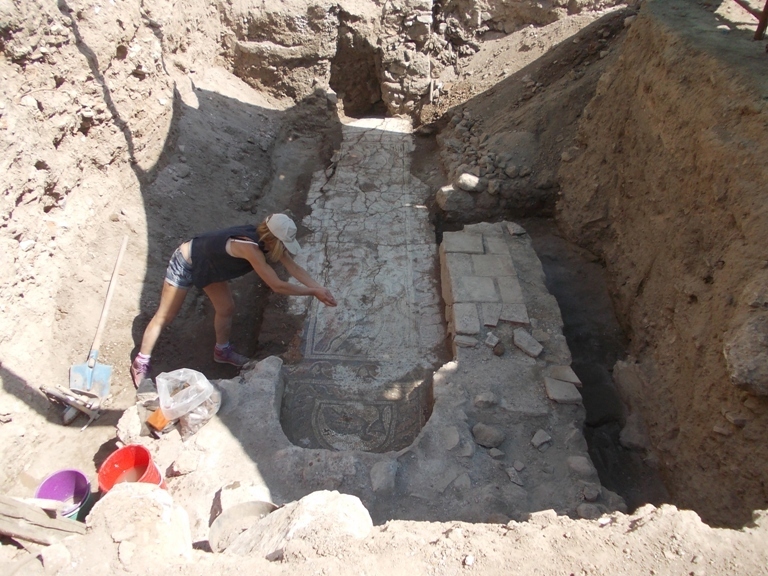 Since 2008, however, renewed excavations under the auspices of the Balkan Heritage Foundation have been busy opening a new window on an ancient Roman city that, for a time, was a major center of trade and commerce. 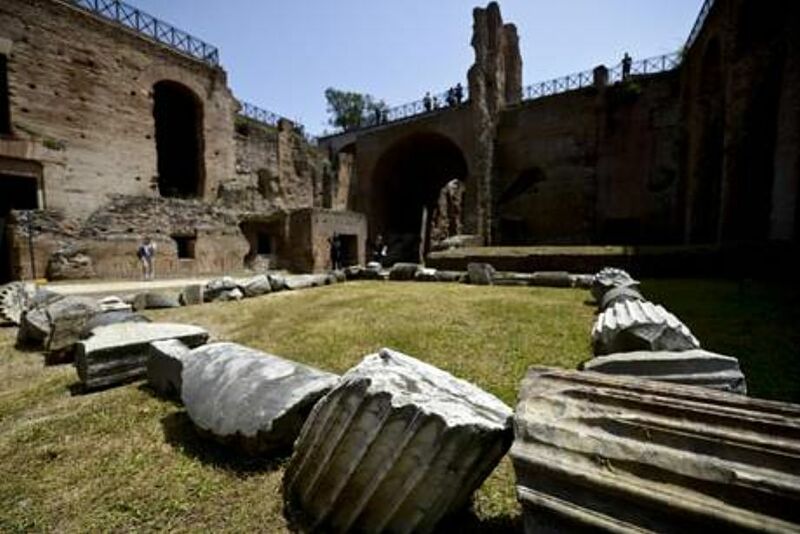 Medieval remains in the Imperial Forum that include a workshop are most likely from the 8th century AD, archaeologists from Rome's Roma Tre university said on Tuesday. "The remains found in the Temple of Peace (Tempio della Pace) area are probably related to blacksmith activity," professor Riccardo Santangeli Valenzani said. Another area from the Middle Ages, dating back to approximately the 14th century AD, was most likely a housing complex or residential area, Valenzani said. Recent excavations just beyond the walls of Roman Cirencester revealed the unexpected survival of parts of a town cemetery. Neil Holbrook, Ed McSloy and Jonny Geber explained to Matthew Symonds the results of our best glimpse of Corinium’s occupants for 40 years. It started as a watching brief in 2011. Although Bridges Garage in Cirencester was known to lie on the site of a former Roman cemetery, it was believed that deep petrol tanks had long since destroyed any archaeology. When the garage was originally built in the 1960s on open ground beside Tetbury Road, in Cirencester’s western outskirts, it triggered salvage recording by Richard Reece. He managed to record 46 cremation burials and eight inhumations as the site was dug away around him. Fiftyyears later, as the bulldozers rolled in once more, it quickly became apparent that pockets of the Roman cemetery had survived intact. Cotswold Archaeology duly assembled an excavation team. 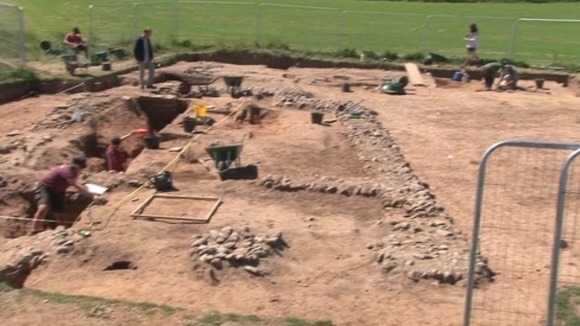 Archaeologists at a Roman dig in Maryport have been showing off what they have found in their third year of excavations on the site. 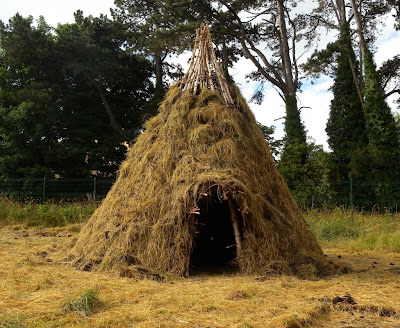 The team, from the Senhouse Museum Trust and Newcastle University, have two years of work left to do. "We've opened three trenches here at Marport this year and we are currently in the trench that has opened up a classic Roman temple. 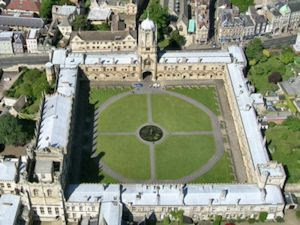 "It is the finest classical temple in the north-west of England. In fact it is the north-western most Classic temple in the Roman world." NINE heroes and a skeleton will take up residence at the Jorvik Viking Centre to give visitors an insight into the great deeds and battles of the past. Legendary warrior and campaigner Eric Bloodaxe, warrior woman Lathgerda, warrior man Sweyn Forkbeard, adventurer Harald Hardrada, explorer Leif the Lucky and King Harald Bluetooth of Denmark are among nine big names from Viking and pre-Norman English history who will be among the star attractions of the centre’s Heroes exhibition. They will answer questions from visitors and talk to them in between taking over its Twitter feed. The exhibition will also include items to illustrate the lifestyle of a Viking hero, including a skeleton unearthed at Fishergate which may belong to a warrior killed at the Battle of Fulford in 1066 and several tenth century stones that may have covered a grave of a fallen hero or rich patron. A fire has damaged the landmark 17th-Century Hotel Lambert in Paris. 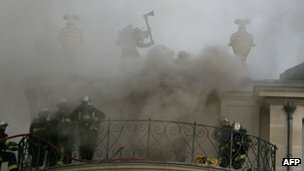 Dozens of firefighters tackled the blaze, which broke out overnight on the roof of the riverside mansion in the centre of the French capital. The building was being renovated after its purchase by a Qatari prince in 2007. Located on the World Heritage-listed Seine embankment, the mansion was once home to the 18th Century philosopher Voltaire. It took six hours for the fire brigade to put out the blaze, which started in an area below the rooftop which emergency services found difficult to access. 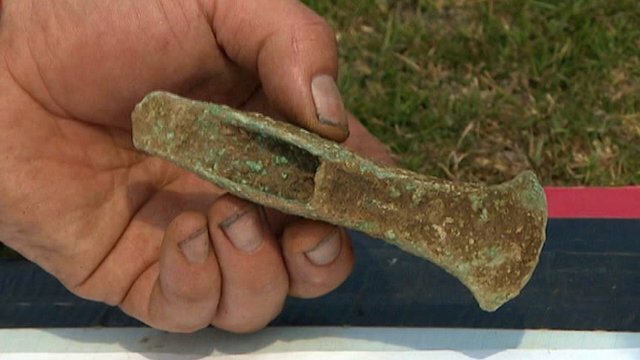 The finds came from two separate boat graves in an area in Nord-Trøndelag County called Lø, a farm in part of Steinkjer. The archaeologists, who both work at the Norwegian University of Science and Technology's University Museum, were there to conduct a routine investigation required because of an upgrade to Norway's main national highway, the E6.